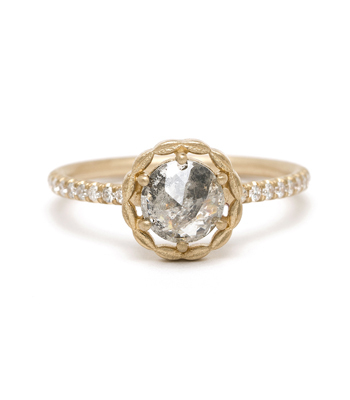 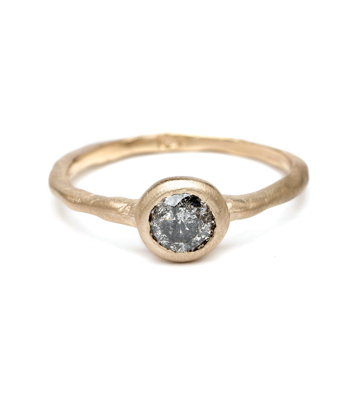 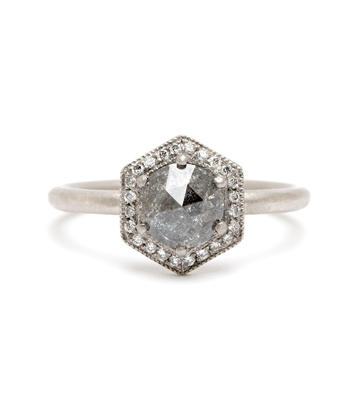 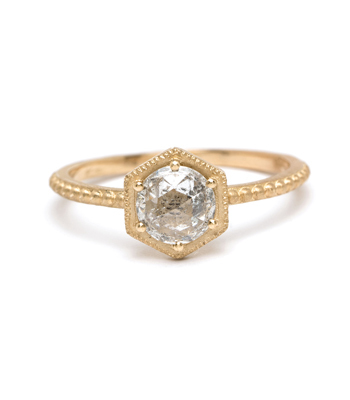 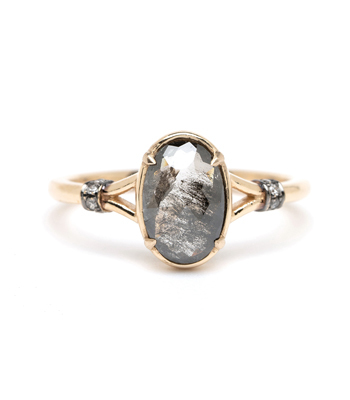 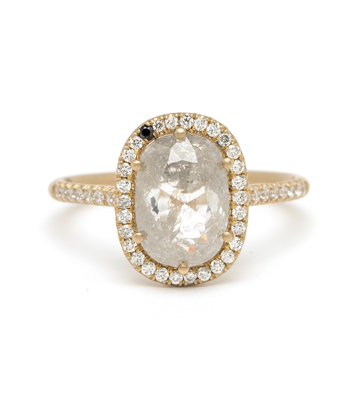 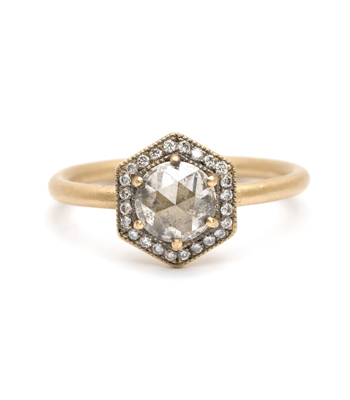 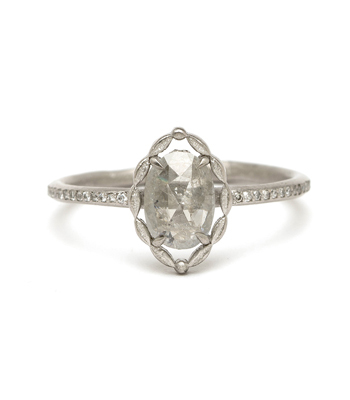 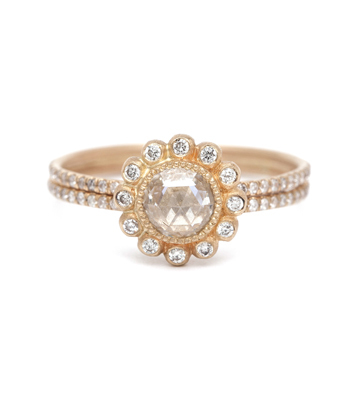 Speckled to imperfect perfection, Salt and Pepper Diamonds are moody, earthy and every one unique from the next. 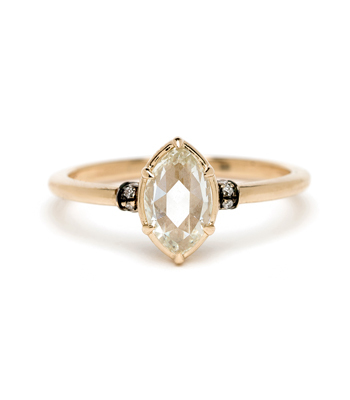 The Clarity Chart need not apply here as intricate inclusions dapple and spray across each stone. 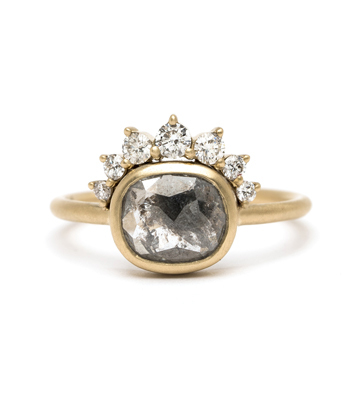 These natural diamonds come out of the earth just as they're intended to-- with all of their birthmarks in tact. 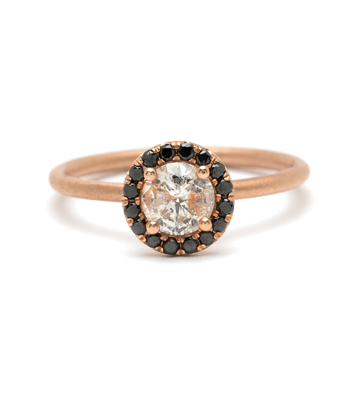 Ranging from speckled and milky to the dark and opaque, Salt and Pepper Diamond Rings are ideal for the alternative bride desiring a stone unlike any other.